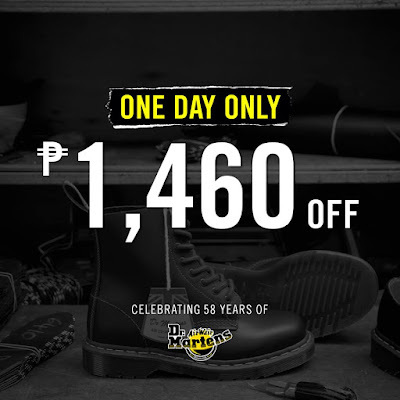 DR. MARTENS is celebrating its 58th Anniversary, yey! So, they're doing a One-Day SALE on April 1, 2018. Enjoy P1,460 OFF Valid for ONE DAY ONLY, April 1! Visit the following stores to enjoy P1,460 OFF on regular priced bags and selected footwear purchases!